Is there any way that could remove the lock from excel workbook to make it editable? First of all, open your Excel file and got to the sheet, which is password protected 2. In all such situations, users always wanted to protect their worksheets from being changed like deleting and moving of data. Because Microsoft Excel uses a very simple encryption algorithm for worksheet protection. For example, if a worksheet has a button that runs a macro, you can click the button to run the macro, but you cannot delete the button. For Windows: If you are trying to , check the file name of the file and make sure it is in either. To enable some cell editing, while leaving other cells locked, it's possible to unlock all the cells. His professional career includes stints as a computer tech, information editor and income tax preparer. The Windows option is not available greyed out in Excel 2013 and Excel 2016, as shown in the screenshot above. However, while using this method, keep in mind that if Select locked cells and Select unlocked cells actions are closed in the locked sheet. The procedure is given below. Launch the program by double clicking the tool icon on the home screen. Format cells Changing any of the options in the Format Cells or Conditional Formatting dialog boxes. Continuous improvement and life-long learning is my motto. 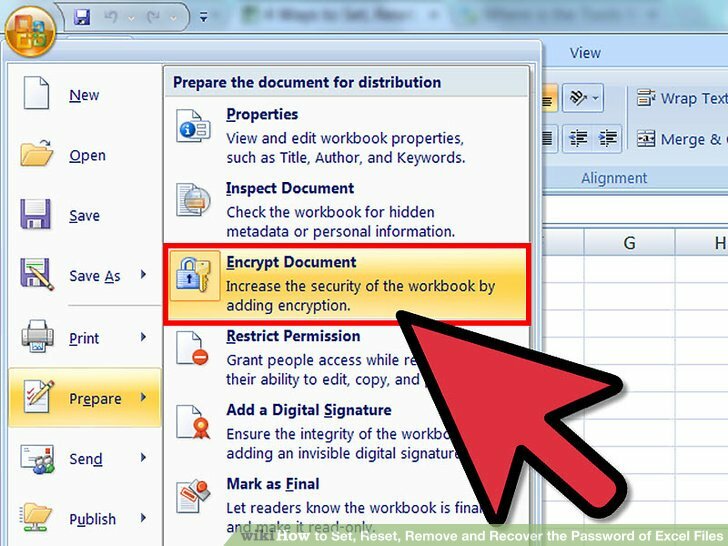 If Protect Workbook is highlighted, click it to turn off protection. Select unlocked cells Moving the pointer to cells for which the Locked check box is cleared on the Protection tab of the Format Cells dialog box. If you applied conditional formats before you protected the worksheet, the formatting continues to change when a user enters a value that satisfies a different condition. But, when users keep their important safe and secure they protect it with the help of password. But, this might happen that you are in a situation where you either forget or lost password of protected Excel sheet. Once the password is recovered, you will see it on the screen. If unlocking the worksheet doesn't require a password, or you know the password, you can easily remove the protection in Excel. After, finishing the procedure you will get a message containing the actual password for the locked Excel Document. It can be the same password of two different ones. Therefore, to make this task easy for the users, multiple ways to unprotect Excel sheet. Choose your attack types from the three attack type options available. Smart attack If you know nothing about the password, then you have to select Smart type. I am a diligent, goal-oriented engineer with an immense thirst for knowledge and attitude to grow continuously. The means to break the encoding used by Hashcat are pre-programmed dictionaries, rainbow tables, and brute-force approach. Note: Unfreeze span will unfreeze all the freezing of the excel sheet. The tutorial shows how to protect Excel sheet with or without passwords. Thus, in order to have a seamless and direct approach to remove password from Excel file, use tool. Be sure to remember the password or store it in a safe location because you will need it later to unprotect the sheet. If Delete rows is protected and Insert rows is not also protected, a user can insert rows that he or she cannot delete. Users can change the values in the changing cells, if the cells are not protected, and add new scenarios. The program turns the readable data gathered by it into random strings of garble, most of them with a predetermined length size. Have you followed the steps outlined above, but are still having trouble restoring full access to your worksheet? When you co-author, more than one person can open the file, and you can see each other's changes quickly — in a matter of seconds. If you know the password for the protected workbook or sheet, removing protection is a matter of seconds. When it comes to Excel most of us set a password to protect important worksheets from being modified by others, it's not only necessary but also required. If you are dealing with a password-protected worksheet, Excel will ask you to enter the password. After this, it becomes easy for you to modify the document without type of restriction. This particular software was designed for this purpose only! When you probably know how many characters of the password, please set password Length, which can reduce the number of password combinations. 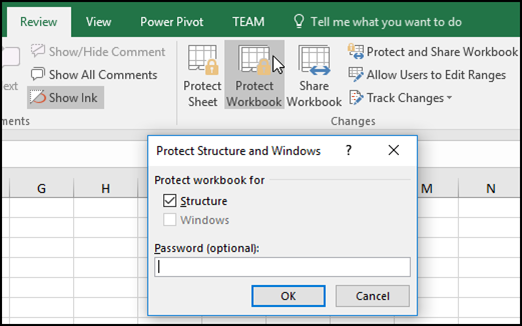 How to protect a workbook in Excel Apart from protecting the sheet contents, you may also want lock the entire workbook to prevent users from adding, moving, renaming or deleting worksheets, and viewing hidden sheets. Tick on Select locked Cells and Select unlocked cells. Navigate to the location of your locked Excel file and add it into this program. And if you wish to get a desired or guaranteed result, then you must adhere to Password Recovery Bundle Tool. When you unlock an Excel workbook, others can open and modify it or restructure its worksheets. Users cannot apply or remove AutoFilters on a protected worksheet, regardless of this setting. 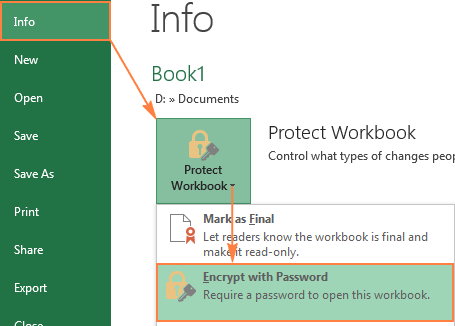 To unlock a protected workbook in Excel 2016-2007, do the following: Step 1: In a locked workbook, click protect Workbook button on the Review tab. Part 2: How to Recover Excel Workbook Password If Forgotten Now we are going to discuss a couple of methods you can use if you are the sole owner of the worksheet and you lost the password. 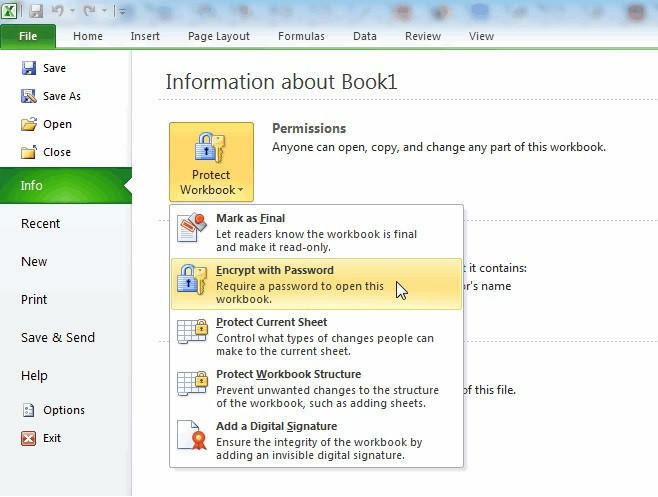 After you do this you have the options to share your protected workbook with others providing a password. There are Office patches which claim to resolve this issue at the workstation level, but deleting the temporary file is the most efficient workaround. Continue the discussion and add your thoughts in the comments section at the bottom of this article. For columns a downward arrow and for the row, a rightward arrow will come up. 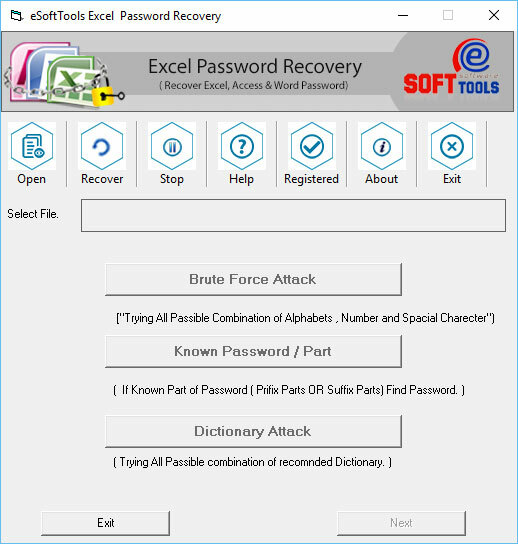 Excel Password Recovery is one of the software you can put the trust. Locking cells, columns, and rows in excel give you the freedom to protect your data.